Tris Potter is on the run. Jeanine, the leader of an isolated city, has put out an order for the capture of all Divergents – people who don’t conform to one of that society’s five classes. Tris is a divergent, and is also wanted for a crime. Tris is not alone. She is accompanied by a young man named “Four” for whom she has romantic feelings. She’s also accompanied by her brother Caleb, and one more friend. 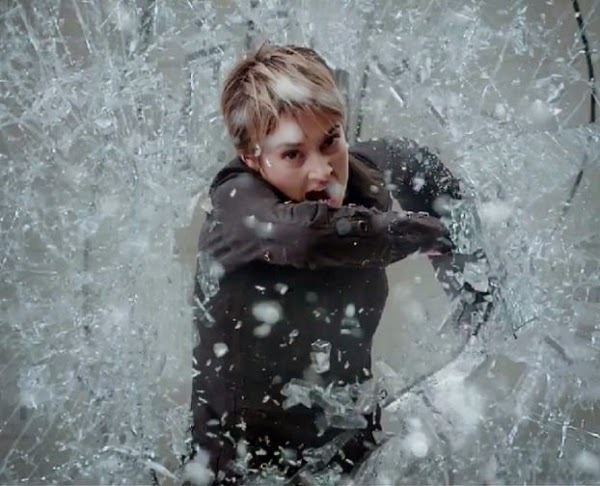 Will Tris be captured? If she is captured, what will happen to her? And why is it that some people don’t fit into the society’s classes? How’s This Relevant to Foster Care and Adoption? The world of Divergent reflects adoption in some sense. Young adults choose factions, and their factions become their new families. Tris has lost her parents. A character reflects to her, “It’s hard to stand helplessly by while you lose the ones you love.” Some adoptees – and perhaps especially those who have been through foster care – might connect with this statement. When Four reconnects with his birthmother, he is surprised. He thought she had died. Their reunification is cold. She seems pragmatically interested in what he can do for her. He forbids her to call him by his birth name, and he tells her that she’s not his mother, that his mother is dead. 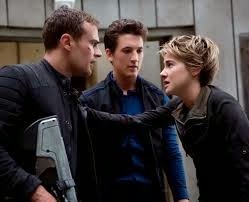 When Four leaves, his mother speaks unkindly to Tris. Tris threatens suicide in order to assert power over one of her oppressors. I’m nervous about teens seeing a beloved heroine holding a gun to her own head. The film is violent. The last sound in the film is a fatal gunshot to the head of a defenseless woman. There are scenes where people speak cruelly to Tris about the loss of her parents; this could also be hard for some viewers who mourn the loss of relationship with their parents. 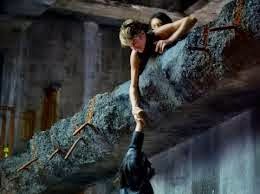 Tris’ journey of self-forgiveness and healing could be very valuable to some of the teenagers drawn to this film, although there are some potential adoption triggers, and quite a bit of violence. 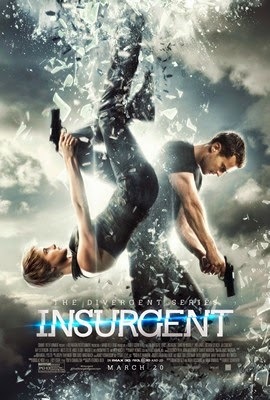 Viewers will see her forgive herself for the loss of her parents, but will also see a cold reunion between another character and his birth mother, and will also be confronted repeatedly by the fact that Tris’ parents were killed. This might be a good film for teens ages 15 and up, but parents should be aware that their teens might be triggered. It would be a good idea to be proactive in asking how your teens were touched by this film. For younger kids, it’s probably too heavy and too violent. Is there anything you feel guilty about? Have you ever felt guilty about something that really wasn’t your fault? What helped Tris stop feeling guilty? At the end of the film, Tris feels vindicated. Have you ever felt that way?